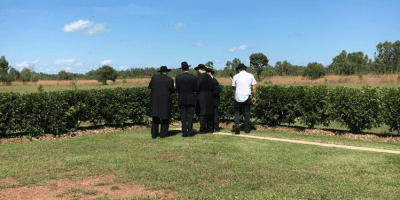 Darwin now has a Jewish cemetery following a consecration ceremony recently. Previously, when a member of the Jewish community in NT passed away, arrangements had to be made to transport the body to one of the Jewish cemeteries in Brisbane, Melbourne or Sydney. 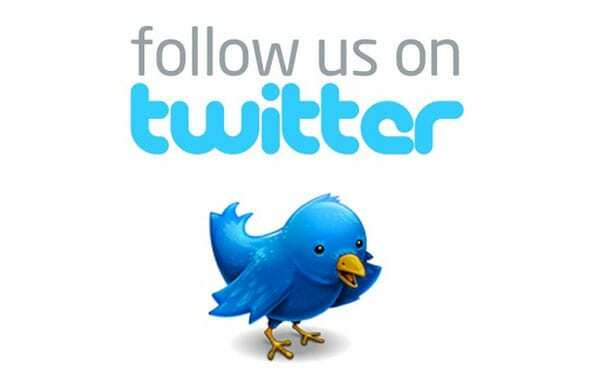 This process could take several days which was difficult according to the Jewish tradition. 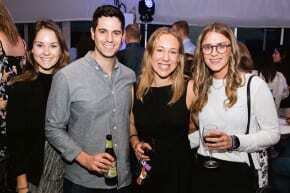 Saul Spigler, founder and president of Chabad of RARA flew up from Melbourne for the occasion. 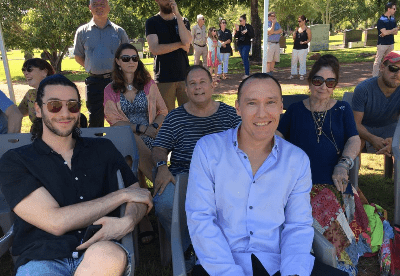 He told the crowd how the necessity of having the cemetery became apparent after an older Jew, a Holocaust survivor living in Darwin had been cremated. Saul Spigler told J-Wire: “He had been visited for years by the young Rabbis of RARA, who were just about the only visitors he ever received. He mentioned that he wanted to be buried as a Jew. Many dignitaries were present, including mayors from three councils and the multicultural minister of the NT. 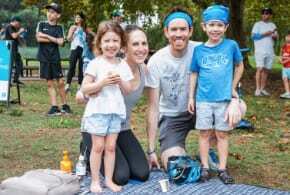 They stressed their commitment to religious and cultural freedom pledging to continue to do all that they can to help strengthen the Jewish community in Darwin. Two bochurim from Yeshiva Gedola visiting Darwin to run the Pesach Sedarim helped to complete the minyan. 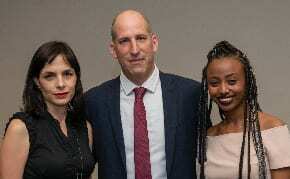 Morry Wolko, a supporter of Rara was honoured with the recital of Kaddish. 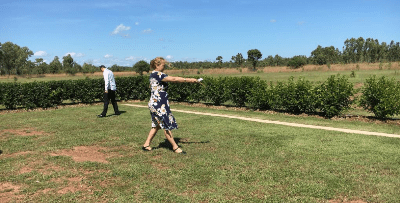 In what is possibly the first minyan to ever be assembled in Darwin, the traditional ceremony of consecration took place with participants saying tehillim at all four corners of the burial plot. 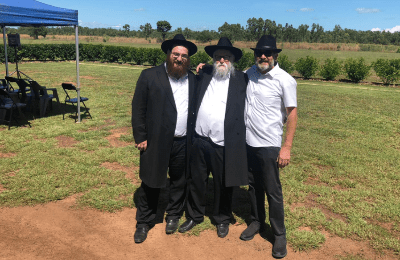 Volunteers from the crowd then spread earth imported from the Mt of Olives in Israel on each gravesite to connect the site in Darwin with Eretz Yisroel. Rabbi Rodal said having a means of a religious burial in Darwin was a big step in establishing a strong Jewish community in Darwin. The idea of establishing a Chabad house for travellers and locals was discussed with the minister of legislation and a Jewish former member of parliament present that day. The concept is still being developed.